KEMWorks offers technology for the production of mini-granular animal feed ingredients. Animal feed products require a P/F ratio of at least 100:1 so phosphoric acid used to produce mono- and dicalcium phosphate (MCP/DCP) must usually be defluorinated. Limestone and defluorinated phosphoric acid are reacted in a SPINDEN Reactor that produces a uniform min-granular product. The product is dried, screened, the oversize crushed, and the final product cooled. Phosphoric acid with a P:F ratio of at least 125 is required to make MCP or DCP. 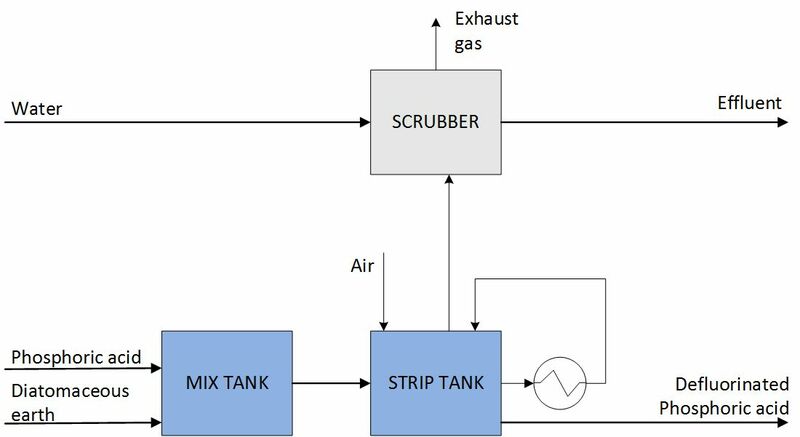 KEMWorks offers a simple system for phosphoric acid defluorination using air-stripping that uses only 25% of the steam used in conventional technology.